Thousands of people a day are searching on Google for St. Louis’ businesses. They are needing everything from haircuts to legal services. But what happens when they search? Will they find your business or your competition? If your business is not performing up to your expectations, then it is time to make a change. You may be wondering how a St. Louis SEO expert can help your business? Simply put we get you on the top of Google. We can help your business be found on the web so you can dominate your competition. Contact us for a free consultation and analysis. We will give you an honest assessment of the changes that would improve your business. Get your business found where your customers are searching – online. If your site isn’t on the first page, you aren’t getting the traffic you need. As a small business ourselves, we understand the unique challenges facing small businesses. Exceeding customers’ expectations, wearing numerous hats, and trying to keep priorities in focus can be a challenge. We can help. By leveraging modern technology, we can help your business accomplish it’s goals and increase sales. Phase 2 – Get your website to the top of Google. Hope is not a strategy for getting traffic to your website. Using our SEO services your site will dominate your competition. Phase 3 – Engage your existing customer base. The easiest person to sell to is previous customers. Using our tools you can send out customized messages to your customers to get them to re-engage with your products or services. Learn more about our services and how we can help your business grow. When hiring a search engine optimization consultant in St. Louis, it is natural to wonder the impact they can have on your business. Will they really produce the results you are looking for? What kind of return will you see on your investment? Here are a few reports I pulled from clientele. They all demonstrate success in different areas. Traffic is the number of visitors coming to your website. In these examples, traffic doubled and even tripled after a few months of working with the client. Google is constantly updating their algorithm. These changes can be costly and even fatal to your business as they cause you to drop in the rankings. Here is a report of how we helped a client recover and stabilize their rankings. They have thrived during the last 15 Google updates and they will continue to thrive any future update. We don’t believe in fast temporary rankings. We want a lifetime value for your business. 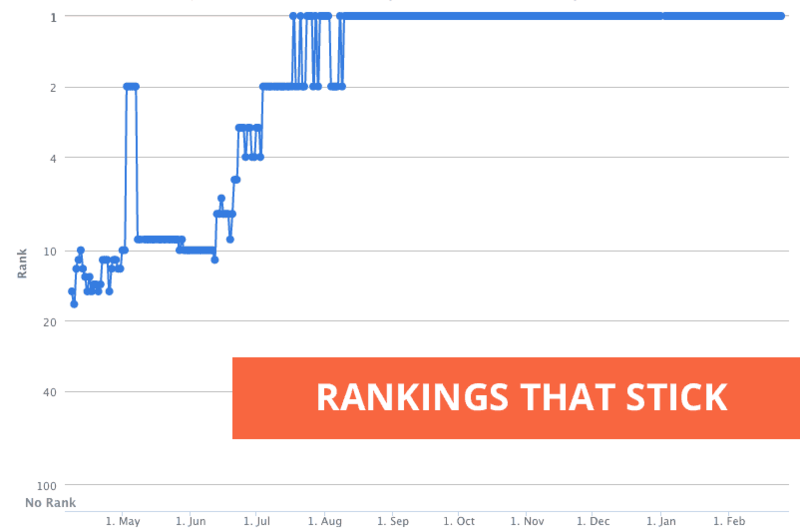 Here is an example of us moving our client from the second page to the #1 spot in Google and maintaining that ranking to this day. What matters the most in business is the bottom line. In this graph we show how we doubled the number of inquiries for our clients services. Ready for your success story? Contact us and we can help you increase your online exposure. If you have a local St. Louis business, then it is time to work with the best St. Louis SEO consultant. Get started today! Want to discuss your custom acquisition strategies? Fill out our discovery form or call us at (314) 561-7331.